WWE Teases Planning A Four Horsewomen Of WWE Vs. Four Horsewomen Of UFC / MMA Match For 2018 Wrestlemania 34 In New Orleans? Possible WWE 2018 Wrestlemania 34 spoilers follow. The WWE’s four Horsewomen starting in NXT and now onto their respective Raw and Smackdown Live Brands are: Smackdown’s Beck Lynch and Charlotte Flair with Raw’s Sasha Banks and Bayley. 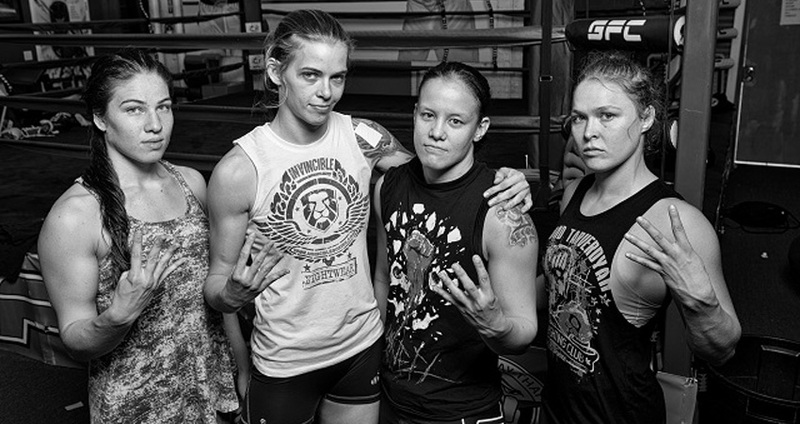 The UFC / MMA Four Horsewomen are WWE signed Shayn Baszler plus icon Ronda Rousey along with Jessamyn Duke and Marina Shafir. Check out the graphic for Wrestlemania 34 on Sunday April 8, 2018 that WWE tweeted recently.